AN INSTANT NEW YORK TIMES BESTSELLER Shari Lapena's new thriller, A STRANGER IN THE HOUSE, is available now from Viking Books! "The twists come as fast [as] you can turn the pages." --People "Provocative and shocking." --Lisa Gardner, New York Times bestselling author of Find Her "I read this novel at one sitting, absolutely riveted by the storyline. The suspense was beautifully rendered and unrelenting!" --Sue Grafton, New York Times bestselling author of X It all started at a dinner party. . . A domestic suspense debut about a young couple and their apparently friendly neighbors--a twisty, rollercoaster ride of lies, betrayal, and the secrets between husbands and wives. . . Anne and Marco Conti seem to have it all--a loving relationship, a wonderful home, and their beautiful baby, Cora. But one night, when they are at a dinner party next door, a terrible crime is committed. Suspicion immediately lands on the parents. But the truth is a much more complicated story. Inside the curtained house, an unsettling account of what actually happened unfolds. Detective Rasbach knows that the panicked couple is hiding something. Both Anne and Marco soon discover that the other is keeping secrets, secrets they've kept for years. What follows is the nerve-racking unraveling of a family--a chilling tale of deception, duplicity, and unfaithfulness that will keep you breathless until the final shocking twist. Shari Lapena worked as a lawyer and as an English teacher before turning to writing fiction. 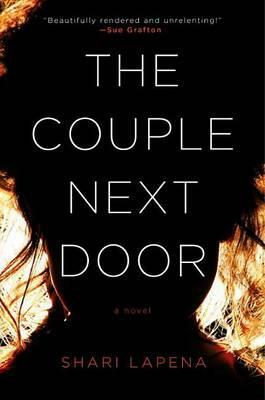 Her suspense debut, The Couple Next Door, as well as her second novel, A Stranger in the House, were New York Times and international bestsellers. Lapena's next book, An Unwanted Guest, is forthcoming in summer 2018.